Sign up for this Sightseeing Tour and, after a training session of 2-3 minutes, enjoy the most significant monuments that the Spanish capital has to offer, in the company of one of our private guides. We will then head for the Almudena Cathedral and the colossal Royal Palace. 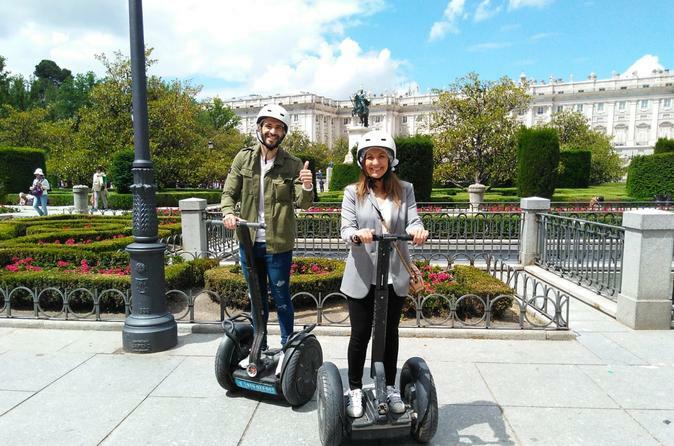 Throughout this first part of the trip, let the segway do the hard work and forget about the steep streets of Madrid de los Austrias. Around the middle of the visit we will be able to stop for a breath of fresh air in Sabatini Gardens, before going back to the historical centre, the Opera House and the Plaza de la Villa.